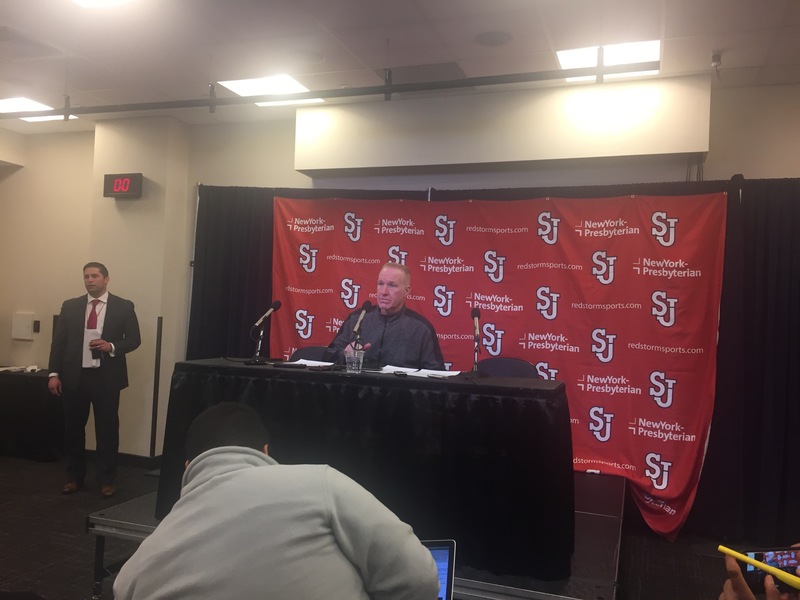 In front of the largest home crowd St. John’s has had this season, Villanova’s Donte DiVincenzo had a career high of 19 points as the Wildcats prevailed over the Red Storm, 70-57. St. John’s put forth a nice effort in front of 17,309 fans at Madison Square Garden on Saturday afternoon. It wasn’t the prettiest of contests with both teams committing numerous turnovers. Villanova’s Josh Hart was kept in check for most of the contest and was held to 11 points. The story for the Wildcats was Donte DiVincenzo. He had a career high of 19 points on 7-10 shooting from the field. Shamorie Ponds led the Red Storm with 13 points. They evenly distributed the ball well with three other players in double figures. Villanova had four players in double figures. Former Atlantic 10 Rookie of the Year and Fordham Ram Eric Paschall had nine points off the bench for the Wildcats. Both teams are participating in the MLK marathon on Monday with St. John’s hosting DePaul and Villanova welcoming Seton Hall to the Pavillion on Monday night.